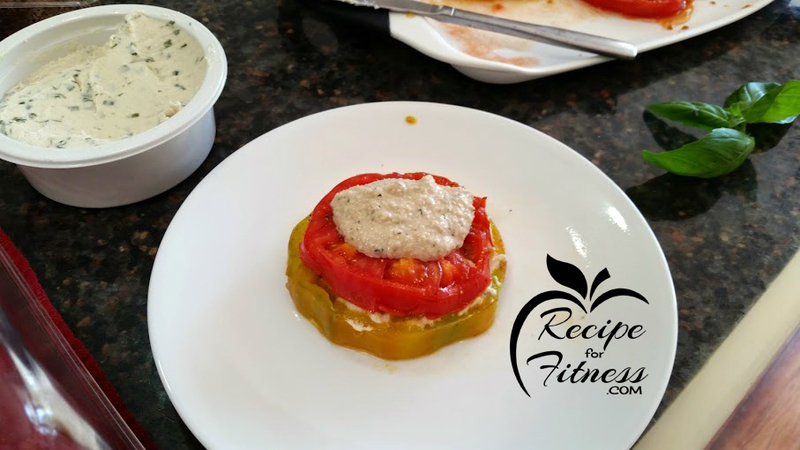 "This recipe is so quick! And the flavors... mmmmm!! The Kite Hill cream cheese style spread is phenomenal (it's available exclusively at Whole Foods, and worth the search!!). 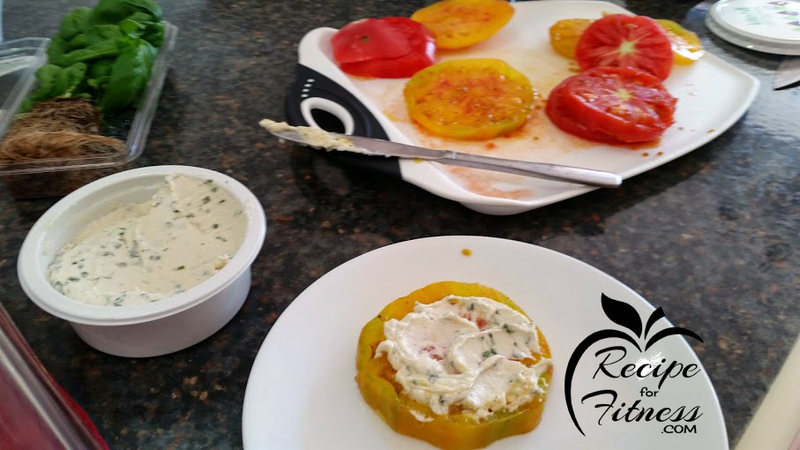 Use any type of tomatoes you like, the ones below are heirloom. A drizzle of balsamic glaze and fresh basil tops off this skillet/grilled caprese - and your guests will be begging for more! " 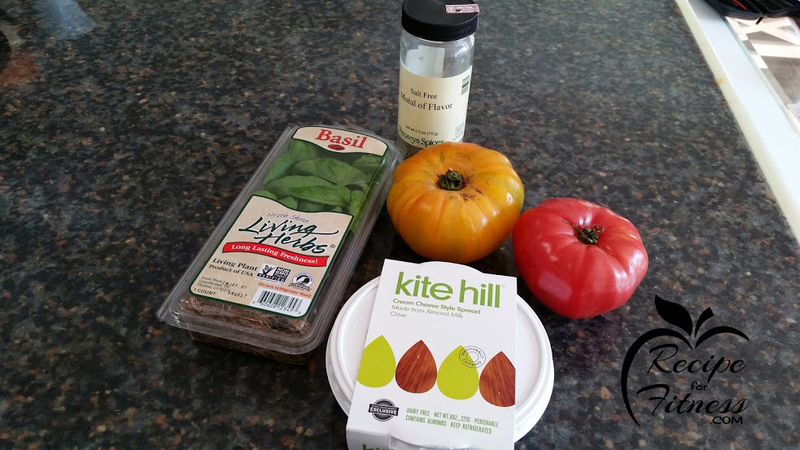 Slice tomatoes and sprinkle with seasoning. 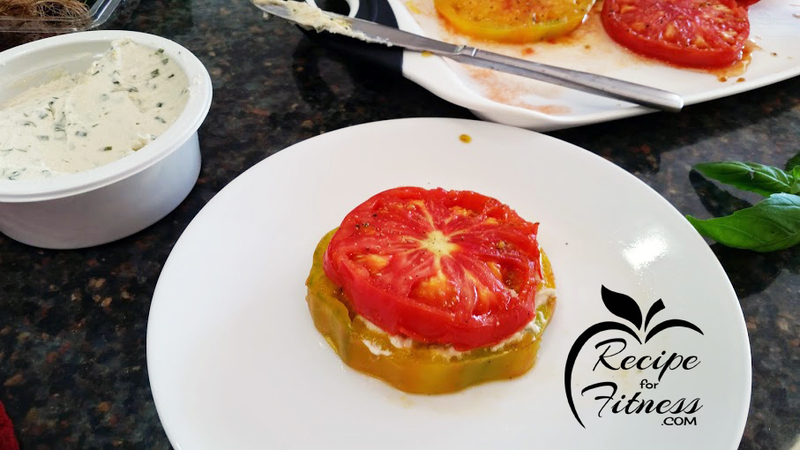 Layer tomatoes, spreading cream "cheese" on top of each. 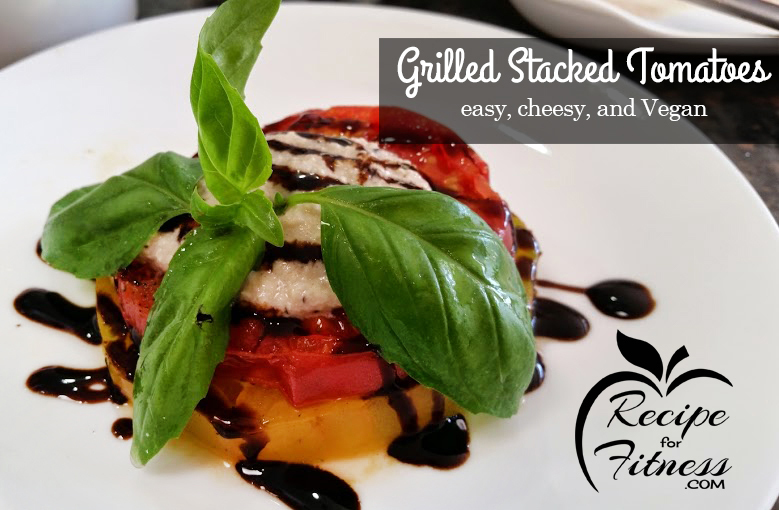 Drizzle with balsamic glaze, and top with basil. You can use any seasoning you like - simple pepper, Mrs Dash Garlic & Herb, Penzey's Mural of Flavor... experiment! The Kite Hill is really essential, but if you can't find it, any vegan cream cheese style spread you enjoy will work. 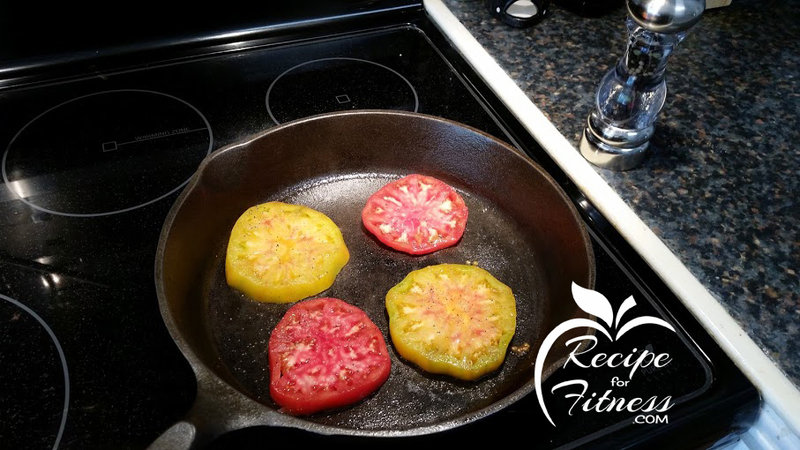 Quickly sear tomatoes in skillet (you can also grill them! ), then remove to a plate or cutting board. Spread cream "cheese" over 1 slice. 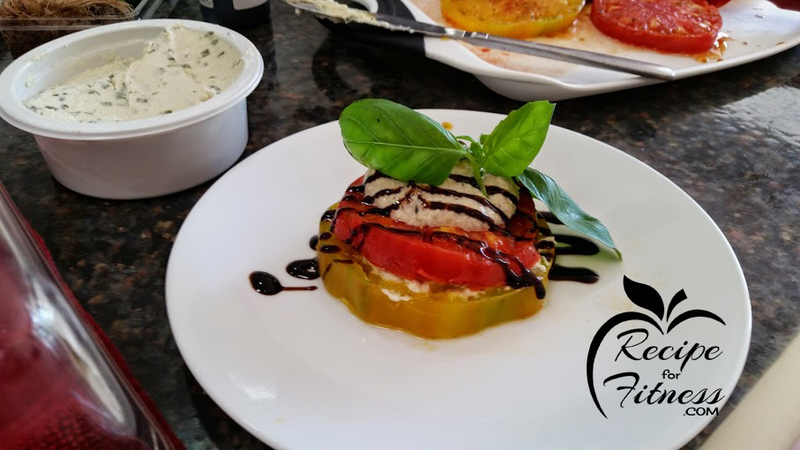 Drizzle with balsamic glaze and top with fresh basil.